Dubbed Canada's most livable country, Canada has been, and continues to be, an attractive place for young people from all over the world to come and study. In addition to its majestic natural setting, magnificent architecture, Canada is also noted for its multi-faceted culture, advanced education and extremely good social welfare. The care of the Canadian government is extremely thoughtful and the welfare system is improving with the goal of bringing a happier life for all residents of Canada. With these advantages, coming to study and live in Canada has been and will be the top choice for young people around the world. Understand that aspiration, through this article, Study abroad UE will bring you the information necessary to realize their Canadian dream of settling. 1. Degree (maximum 25 marks): Your qualification must be a certificate, Canadian qualification or a foreign certificate / qualification recognized by the international qualification rating system. 2. English / French language ability (maximum 28 points): If you can speak both languages, you will reach maximum 28 points (English and French). If you only know English or French, your maximum score is 24 points. 3. Work experience (maximum 15 points): Your work experience must be full-time paid (at least 30 hours per week or equivalent full-time equivalent), and Must be on the list of occupations allowed to settle in Canada. 4. Age (maximum 12 points): You must be between 18 and 36 years of age at the time of application. 5. Prior placement in Canada (maximum 10 points). 6. Adaptability (maximum 10 points). 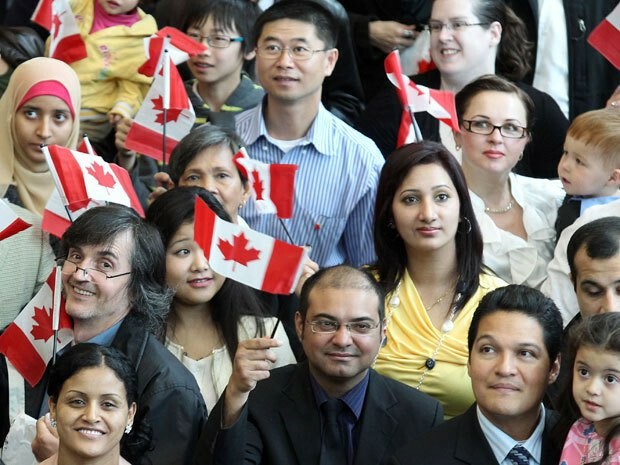 Canadian Immigration Canada is a settlement program that has received a lot of attention from investors worldwide who intend to settle permanently in Canada. This settlement program was issued by the Canadian government with the aim of attracting foreign business capital to develop Canada's economy, and also to address the need to own a Canadian immigrant visa. Of many people. This investment-based Canadian settlement program is likely to provide participants with many benefits. For example, once you have met all of the Canadian settlement requirements, you will be granted a Canadian permanent resident visa and treated as a permanent resident of Canada. In addition, a Canadian entrepreneur who is an investment entrepreneur has the opportunity to apply for citizenship and become a Canadian citizen, but still be able to maintain his or her Vietnamese nationality. Once settled in Canada as an entrepreneur, the children of the investors will also be exempted from full tuition until the end of high school, which is one of the many attractive benefits. Who wants to settle in Canada. - Have working experience of 06 months or more in Canada during the study period. - Have at least 01 year of professional, technical, or technical experience in Canada. Currently, there are seven provinces that enable Canadian immigrants to enter Canada after completing their degree programs: Quebec, Ontario, British Columbia, Alberta, Manitoba, Nova Scotia, Newfoundland and Labrador. - Accepted to work in Canada. - Have at least one year experience in Canada's approved career portfolio. - The financial capacity must cover living expenses according to the number of people in the family. - Financial commitment means that you must prove your financial resources and income strong enough to sponsor relatives to Canada. - Your income must be guaranteed for your spouse and children continuously for three years living in Canada. - Ability to sponsor children continuously for 10 years. Canadian immigration is a great need for international students who have spent a long time studying and working in a developed country, where education is always in the top of the world. great. However, settling in Canada after studying abroad is not a simple matter and easy for anyone, so finding yourself a reputable and quality study abroad consultancy company is the foundation. Is a very important issue for students who wish to immigrate to Canada successfully after graduation. 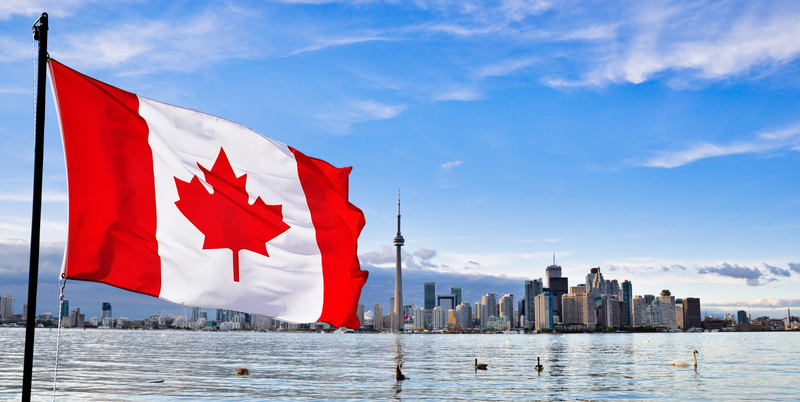 With this article, UE hopes you will have useful information on the path to success in Canada.